San Miguel, El Salvador – Mayra Valerino is 18 years old. She lives with his mother Roxana and her brother Ernesto. Her mother makes dresses and fabric handbags; her income varies between $100 and $175. Mayra had no income, she just finished high school. 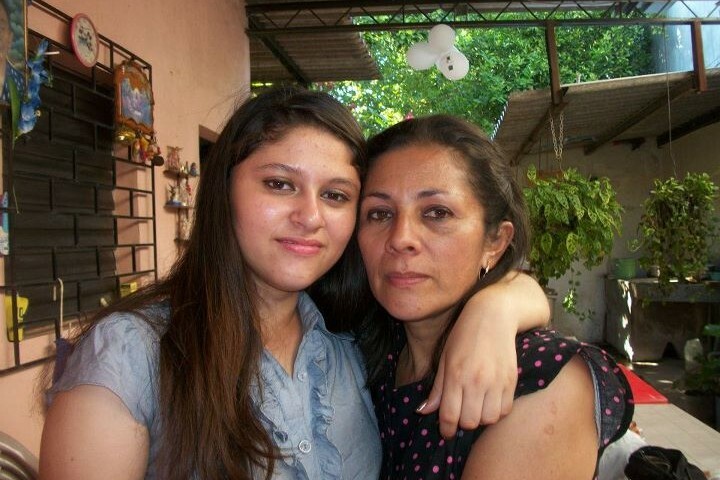 Mayra wants to help her mother with their family expenses. She had been looking for a job with no results. When she visited the Lifting Generations Foundation, she enrolled in the Career Workshop. She learned how to fill out a job application, how to prepare a resume, how to network, and how to answer the questions in a job interview. etc. Mayra went to many companies in San Miguel to drop off her resume, a few days later, she felt discouraged because she had not found a job. She thought, she would never find a job to help her mother. Then, Lifting Generations helped her make an action plan for her job search, and teaching Mayra that her job search required a full time commitment, much like a full time job. Mayra changed moving forward. A week later, three companies called her up to schedule interviews. She was extended an offer with each company. She was able choose which one she wanted to work for. Mayra now works for a company that has a sales kiosk in a shopping center. Her income is $220 per month. Now the family income is $370 monthly.